Who Is Holding Solidary Rally For Military That Fayose Is Talking About? Governor Ayodele Fayose of Ekiti State has raised concerns over what he described as rallies in solidarity for Nigeria's military. The Governor of Ekiti State, Ayodele Fayose, is asking a question which he needs answer to. On Tuesday, the Governor raised issues over what he called solidarity rallies in support of the Armed Forces. In a tweet on his Twitter handle on Tuesday, Governor Fayose insisted that the rallies were signs that Nigeria was in trouble. He wrote: "You will know that a nation is in deep trouble when you begin to see solidarity rallies in support of the Armed Forces". 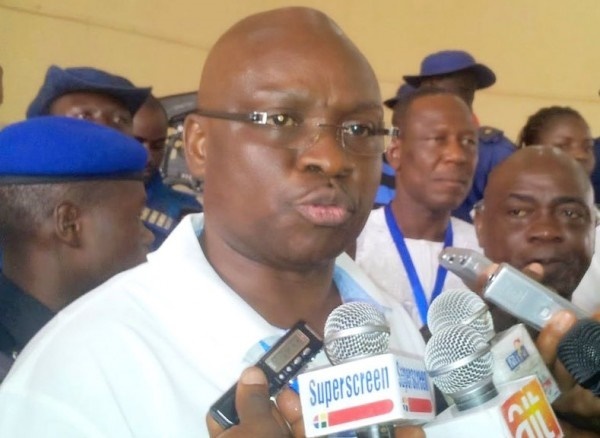 Governor Fayose further questioned: "Is our Military now a political party"? He did not mention organisations or groups that held the rallies. You will know that a nation is in deep trouble when you begin to see solidarity rallies in support of the Armed Forces. Is our Military now a political party? On Wednesday however, a coalition of 46 political associations in Daura zone of Katsina state, commended the Nigerian Armed Forces for resilience, determination and commitment to the promotion of peace and unity of Nigeria. The Zonal Chairman of the coalition, Ali Rabe, made the commendation during a news conference in Daura. He said the Armed Forces had maintained track record of achievements in numerous peace-keeping operations, stressing that "we will continue to pray for them". The zonal chairman noted that many members of the Armed Forces had sacrificed their comfort and pleasure toward making Nigeria great by ensuring lasting peace and stability of the nation. According to him, the unity and fraternity for which the armed forces were known for served as the guiding principle in their operational activities and the rule of engagement. Rabe, however, called on Nigerians to continue to support the armed forces and the Federal Government, with a view to ridding the nation of sporadic security breaches. The News Agency of Nigeria reports that members of the coalition recently drummed unconditional support in a mammoth political rally in support of the re-election bid of President Muhammadu Buhari. They also demonstrated similar support for the entire APC aspirants in the forthcoming 2019 general elections.